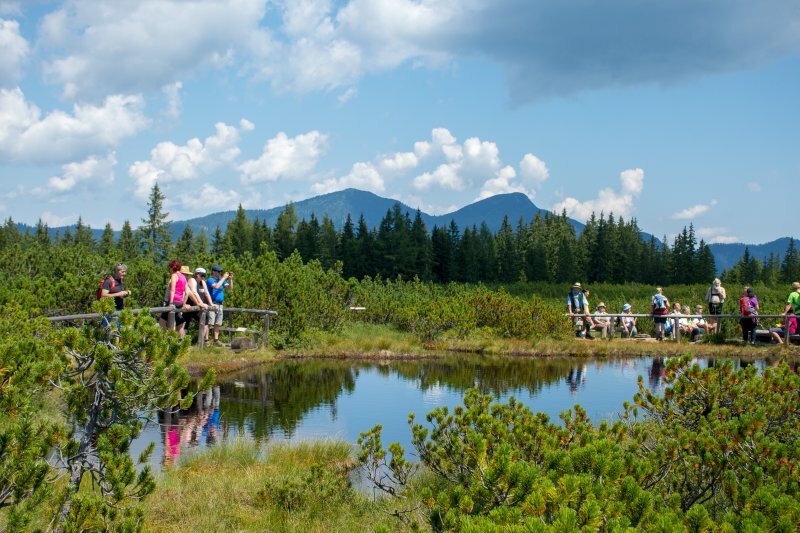 After the convivial ascent with the Gosau slow train we walk on historic paths through the “Löckermoos” blanket raised bog. 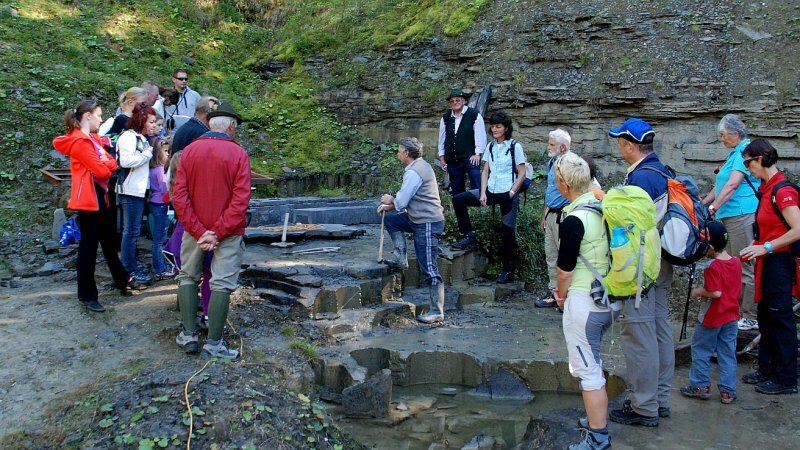 Passing the small moor lake and fabulous karst caves we discover rare plants and the still active grindstone quarries. 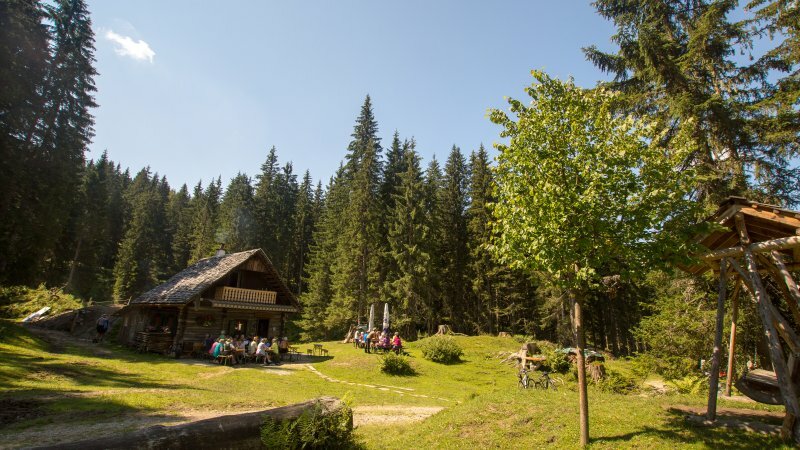 We enjoy the view of the stunning mountain panorama of the Gosaukamm and a break at a rustic mountain hut. 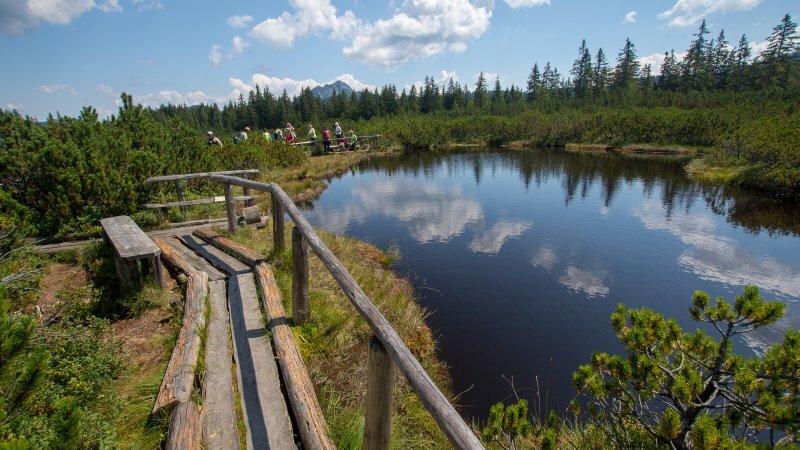 The “Löckermoos” and the associated Löckersee lake in Gosau is one of Europe’s most beautiful raised bogs. 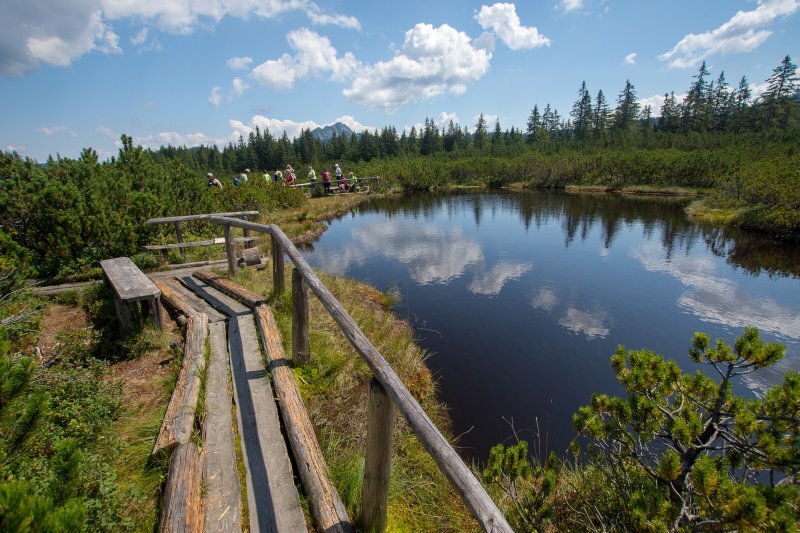 The small lake with impressive views of the mighty tines of Gosaukamm lies at an elevation of about 1400 meters and is popular with hikers, both big and small. 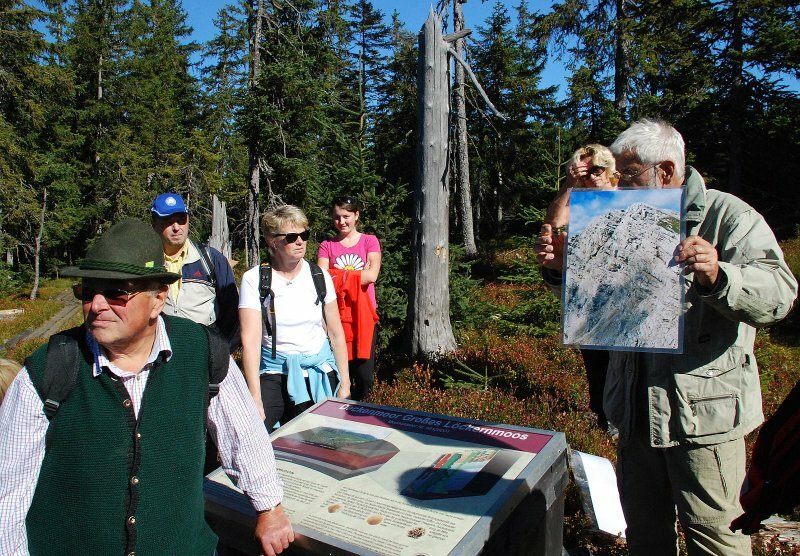 The word "Löckern" comes from the Gosau dialect and refers to the nature protected mountain pine. 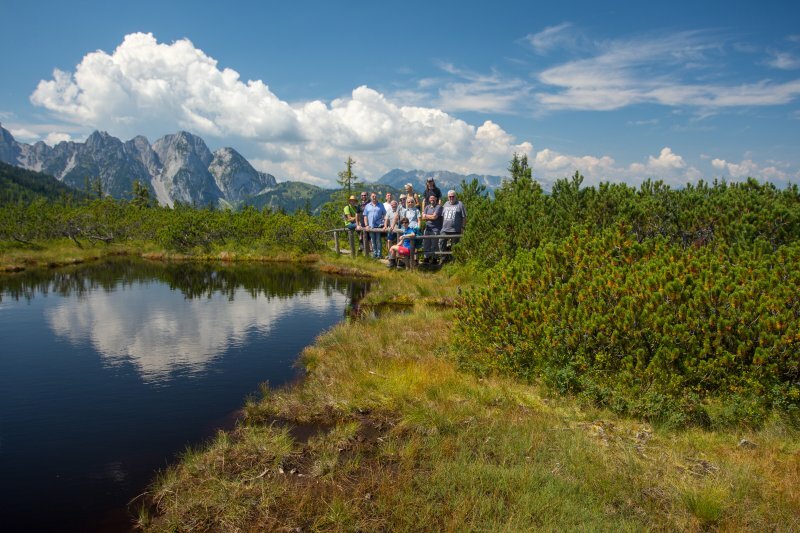 When planning your vacation to the UNESCO World Heritage region of Hallstatt Dachstein Salzkammergut, you should not miss a visit to this natural wonder. 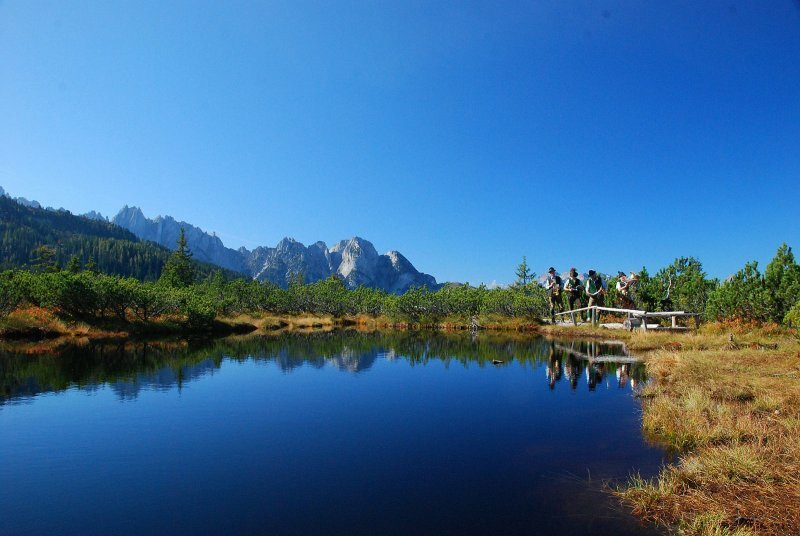 Numerous "Guided walks" or the ascent with the Gosau slow train make this natural gem one of the most beautiful destinations in the Gosau Valley. 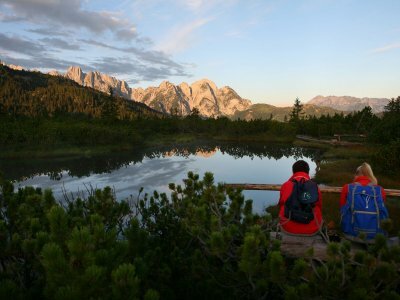 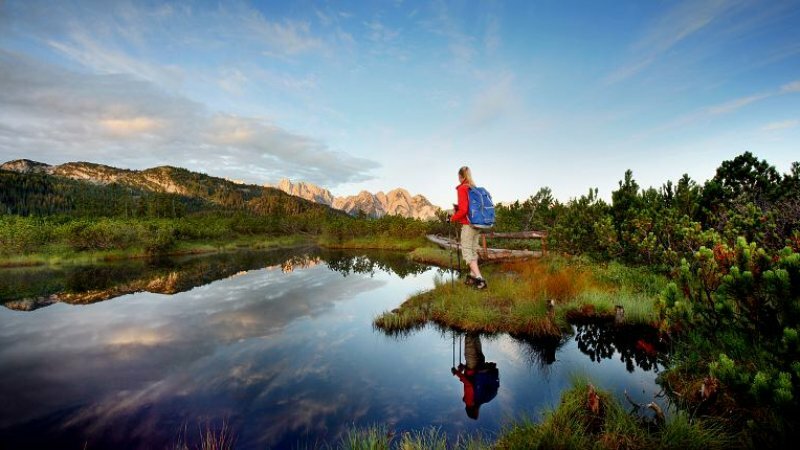 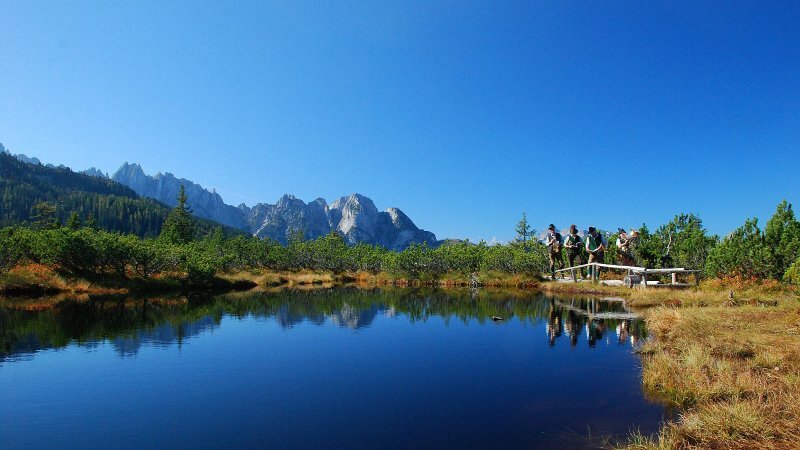 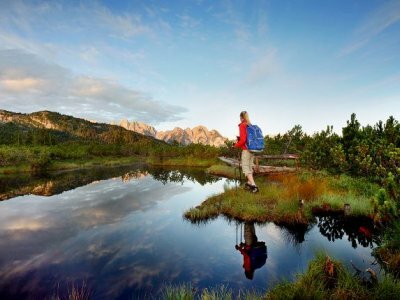 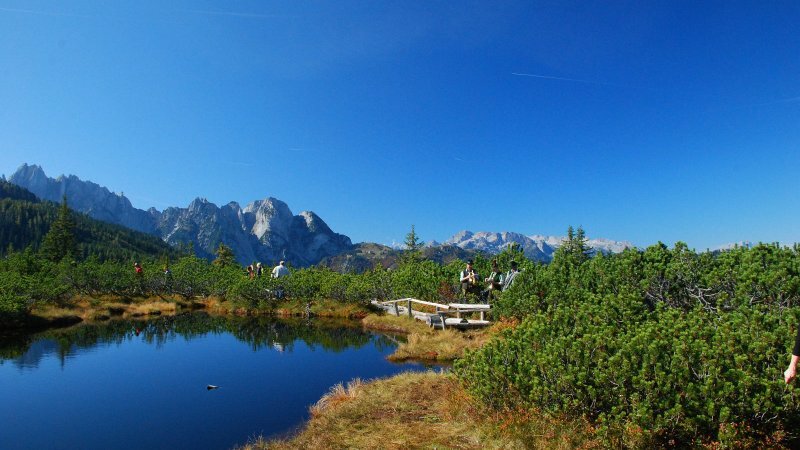 With its widespread network of paths, the Gosau valley is truly a paradise for hikers. 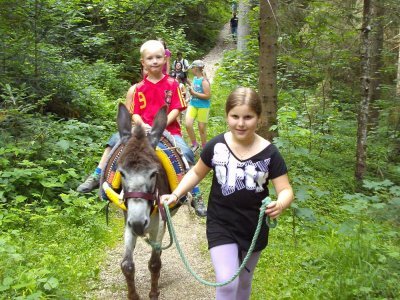 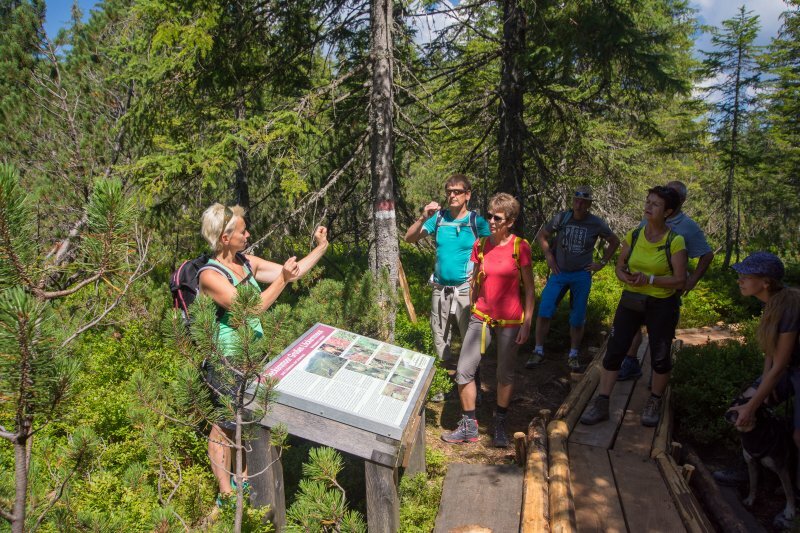 Several hundred kilometres of well-maintained trails are available. 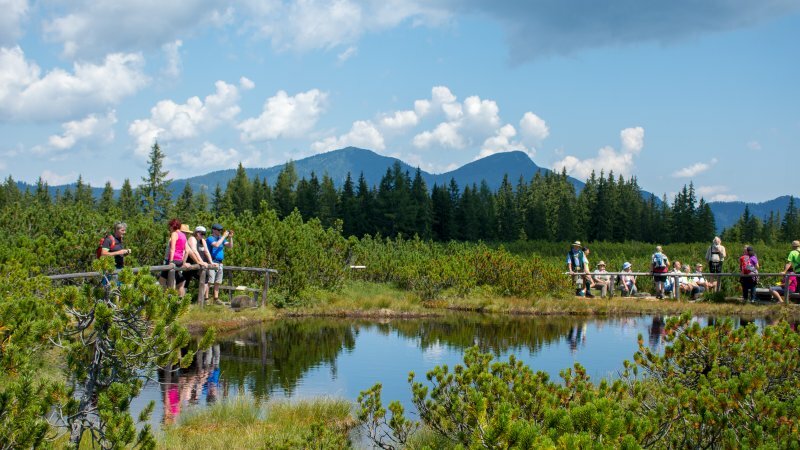 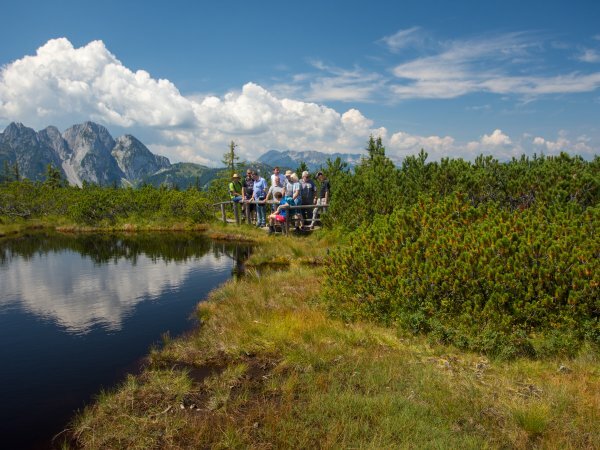 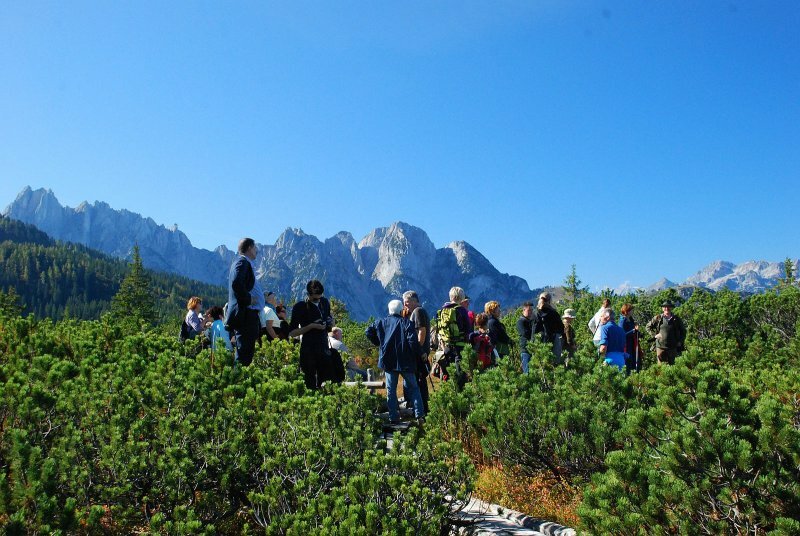 Discover colourful flowering meadows, vast alpine pastures, the rugged Gosaukamm or the extraordinary “Löckermoos“ upland moor – especially as part of a guided hike with the experienced and popular hiking guide Betty from Gosau. 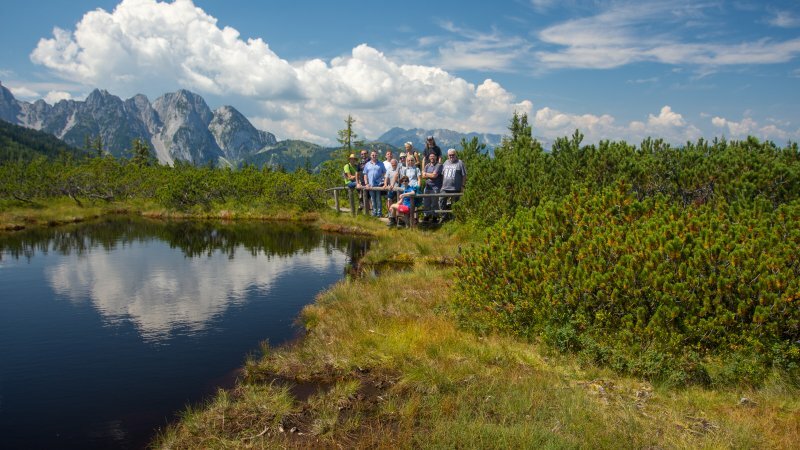 Timeless hikes over meadows and fields, panorama hikes to huts, mountain pastures, romantic mountain lakes and breathtaking summits are on offer with Betty Jehle between spring and autumn. 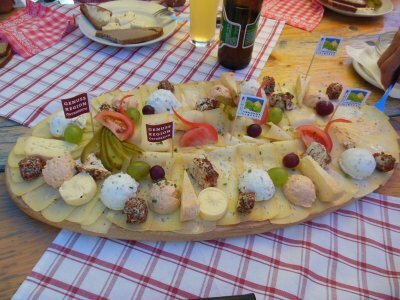 There is something for every taste and requirement! 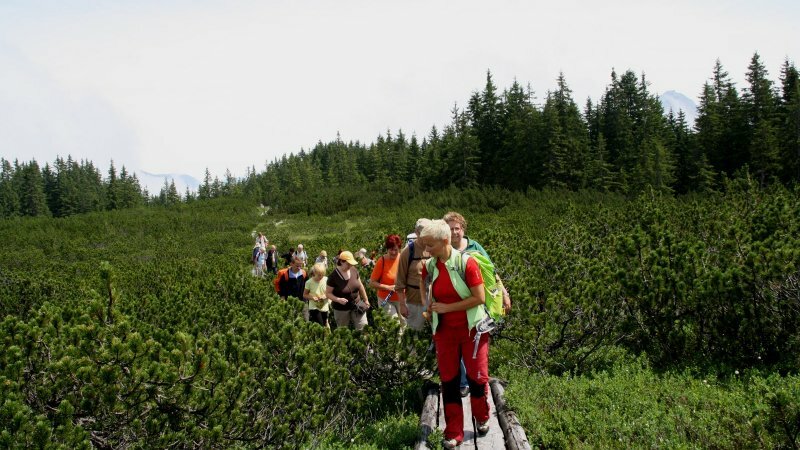 Would you like to participate in one of the “guided hikes” mentioned above? 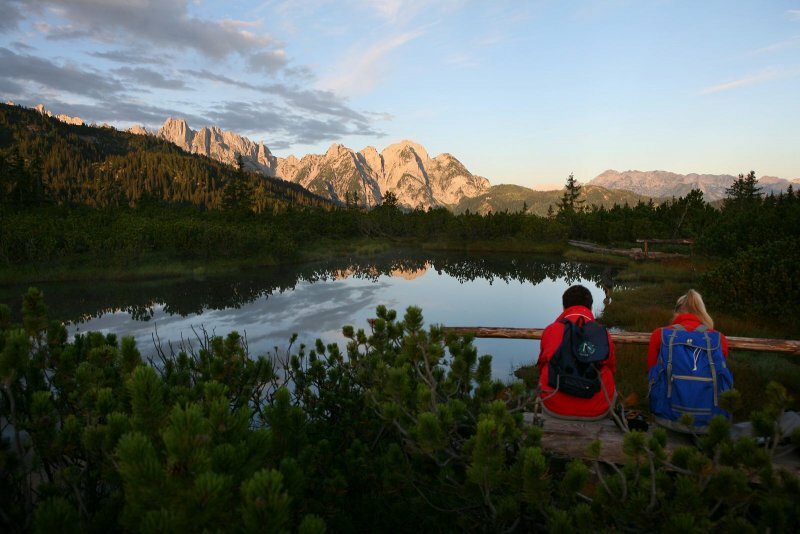 Here are our tips for the perfect hiking pleasure: Sign up in time. 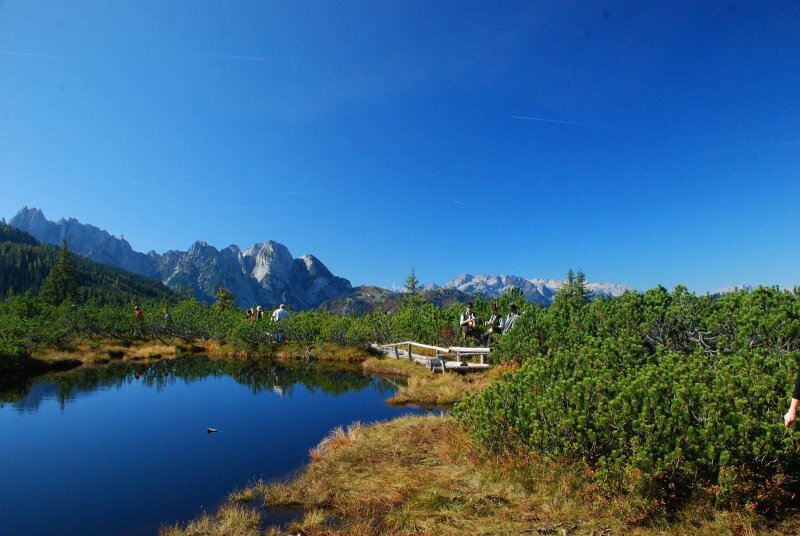 If specified, we recommend registration per e-mail. 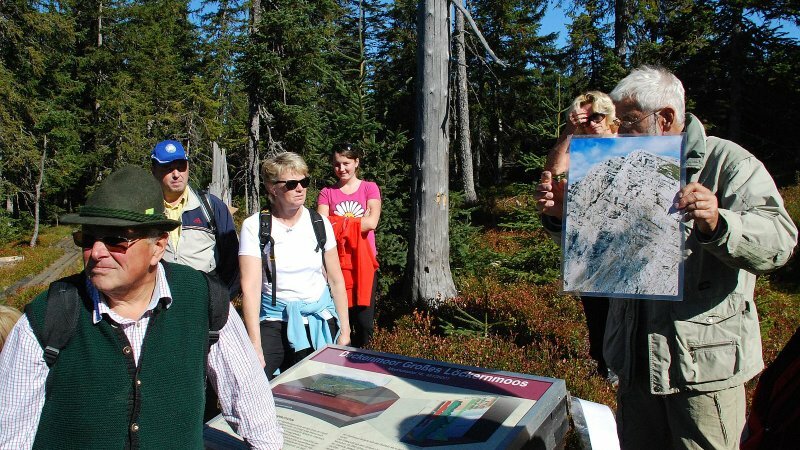 Please include the title of the hike and the date for the "Guided hike". 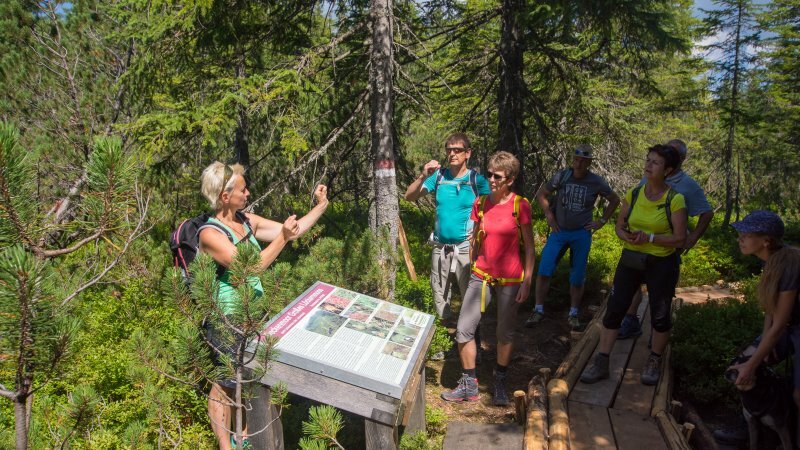 Should your desired hike take place on the weekend or on a public holiday, we recommend that you send your tour registration 3 to 4 days in advance. 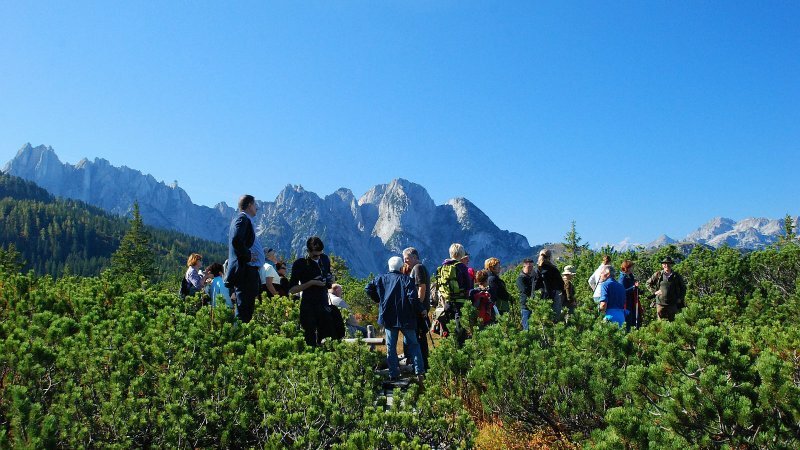 In the age of smartphones, you will be quickly informed of possible tour cancellations via e-mail! 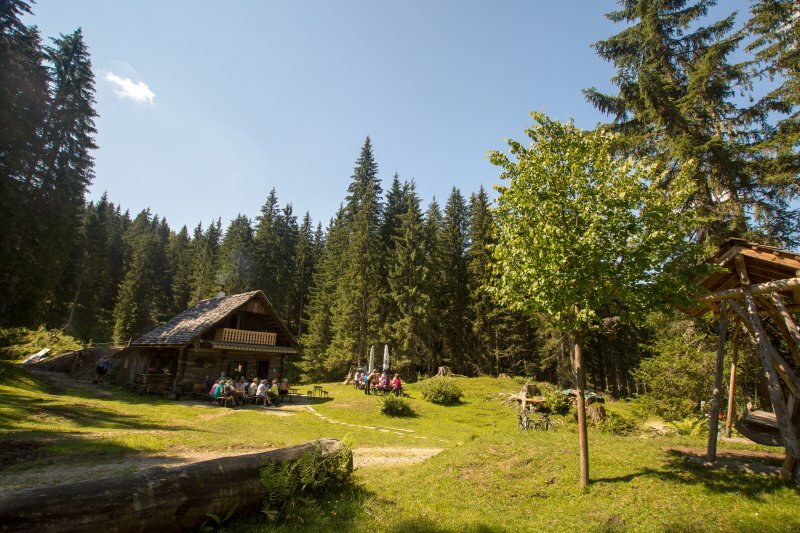 Of course, you can also register via telephone. 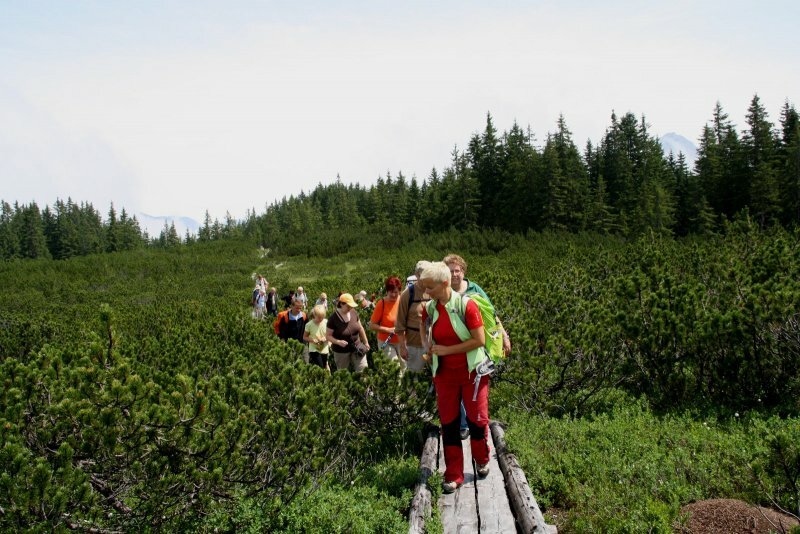 For more information about registration and contact persons, see below under "information at a glance". 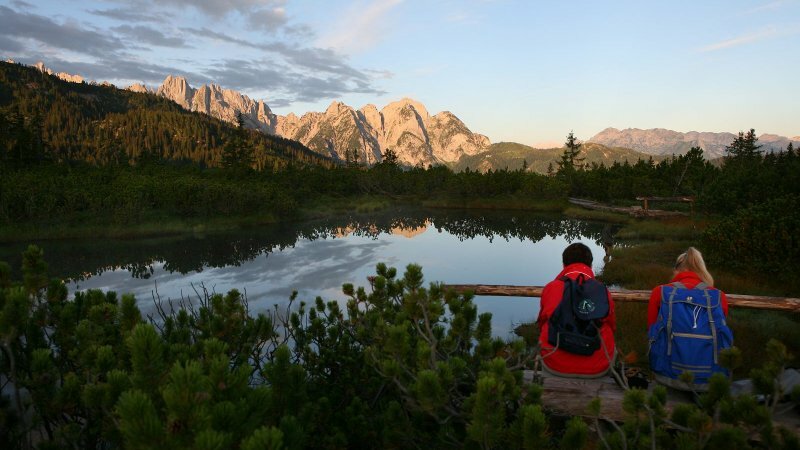 Whatever you choose, we wish you a memorable exploration tour while hiking in Austria!